Joseph Conrad was laid to rest in Canterbury Cemetery on August 7th 1924. This is the epitaph on his tombstone. 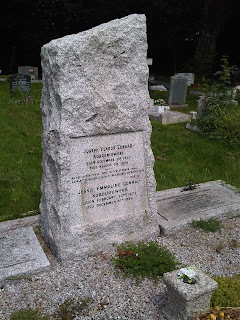 I’d wanted to visit Conrad’s grave ever since I’d first learned he was buried in Canterbury when reading Jocelyn Baines’s (1960) doorstopper of a biography of the famous writer a long time ago. At the start of the summer last year I finally made that pilgrimage, of sorts. It was only my second trip to Canterbury. My first trip there had been made some sixteen years or so before, for a friend’s wedding. 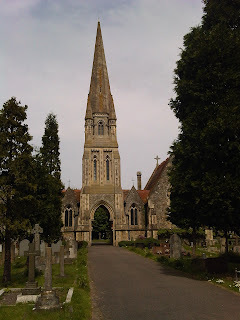 At the time I had thought about trying to find Conrad’s resting place, but back then I didn’t know where Canterbury Cemetery was, and in the end there wasn’t enough time to combine the two ventures – or so I thought at the time, for now oddly enough, having done a little research, I found the cemetery was in fact only a stone’s throw from the house where I’d stayed for the wedding! My sister had introduced me to Conrad’s novels when I was a teenager. The book she’d first recommended – Under Western Eyes – is perhaps my favourite (and suitably impressed me enough to inspire a mad dash of an adventure of my own whilst passing through Geneva in the summer of 2014, see here), but it wasn’t the first of his novels that I read. Instead, I rather logically began at the beginning with Almayer’s Folly, the first of his published works; and then I followed this up by reading his second, An Outcast of the Islands, which – I only then discovered – is actually a prequel to the events narrated in Almayer’s Folly. Looking back though, I think the real reason I began with these works was probably their setting. At the time my mind had been set alight with a desperate wanderlust for Southeast Asia, inspired by a series of documentary films on television about travelling to the more remote parts Indonesia – Lawrence and Lorne Blair’s fantastic Ring of Fire (1988). As a confirmed Conraddict, enthralled by the overblown and grandiose prose of his novels, which to my mind’s eye are like monumental canvases densely painted with words, when first reading Lord Jim I was so engrossed in its pacy final pages that I overrode my stop on the Tube by about four or five stations before I'd even noticed! The life and times of Conrad himself are just as intriguing as his novels. 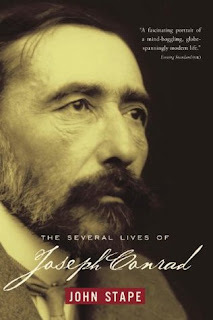 Along with Baines’s I’ve read several other biographies of Conrad; most recently John Stape’s excellent The Several Lives of Joseph Conrad (2007), in which I discovered he was friends with the poet, Edward Thomas, and with Edmund Candler, the Daily Mail journalist who was ‘embedded’ in Francis Younghusband’s 1904 military expedition to Tibet (see next month's Waymarks blog post). Born on December 3rd 1857 to patriotic Polish parents living in enforced exile in what was then part of the Russian Empire, now the Ukraine, Conrad first ‘ran away’ to sea at a young age, but then subsequently forged a career which furnished much of his novels with a nautical setting; he later briefly reached the rank of captain in the British merchant marine, before retiring and becoming a naturalised British subject. 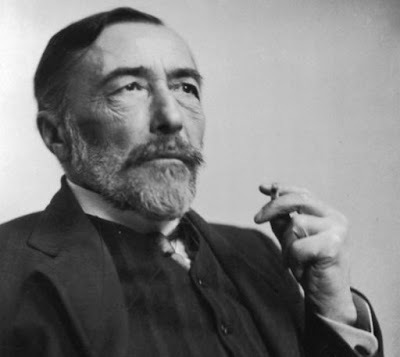 The honorary Englishman who went on to join the pantheon of English letters, as the memoirs of Conrad’s wife, Jessie, Joseph Conrad As I Knew Him (1926), and of his eldest son, Borys, perhaps might most closely relate. 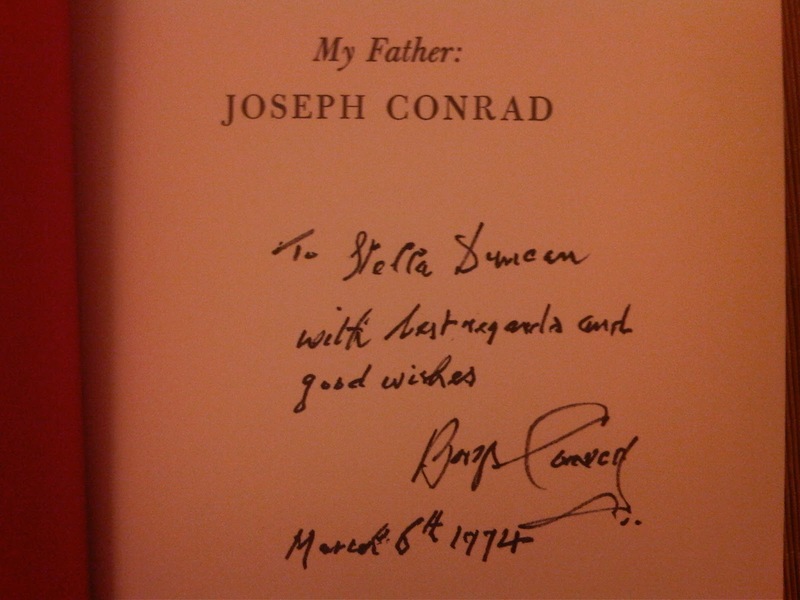 It was no small bibliophile’s thrill which I felt when first finding my copy of Borys Conrad’s My Father Joseph Conrad (1970) on the shelves of one of the famous secondhand bookshops in Hay-on-Wye, I opened it to find it was signed on the title page by Bory’s himself. 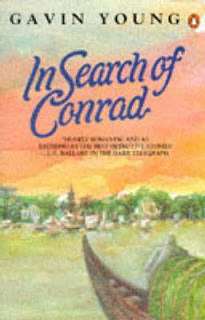 One of the most interesting books I’ve read relating to Conrad is Gavin Young’s In Search of Conrad (1991), given to me by a close friend and fellow Conrad fan, it is part modern day travelogue and part history book which embarks upon an evocative journey to track down the ghosts of the people and places which Conrad once knew. It’s a real gem for any Conrad fan, and a joy to read. 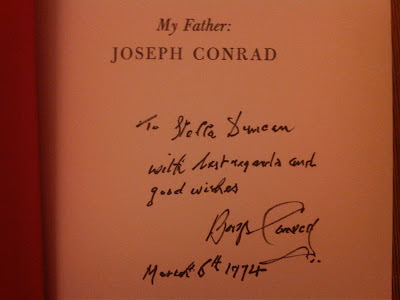 But the most recent book I’ve read which is connected to Conrad is possibly also the most intriguing. Given to me last Christmas appropriately enough by my sister, it is in fact a novel. 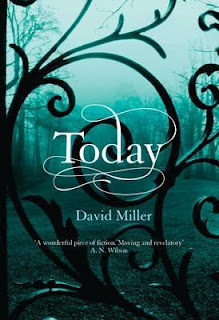 David Miller’s Today (2011) is described as “a quietly elegiac novel” about death and bereavement. The death is that of Conrad himself who forms an off-stage character in a story which imagines what that event might have been like for those closest to the great man. 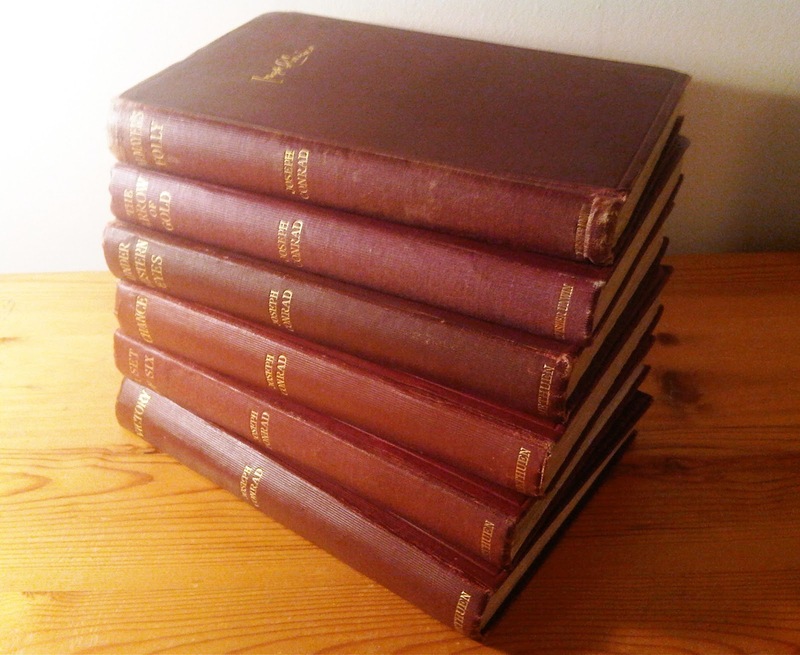 It focuses on Conrad’s secretary, Lilian M. Hallowes, who was in many instances first witness to the laying down of those deeply ponderous words which infused his short stories and novels; and his two sons, Borys and John, as well as his close friend, Richard Curle. Today is a taut, slim tome which (oddly contradictory though it might sound to say so) evocatively brings this funereal episode to life. Having visited Canterbury in the summer I could picture the locations Miller describes all the more clearly as they perhaps once were in an era now vastly removed from our own present day. It’s a curious thing to attempt to imagine the inner lives of real people, turning them into fictional alter-egos and elucidating possible realities which now, none of these people, as once living souls, can either confirm or refute. But then, how much more removed is this than the abstract fictions which Conrad dreamt up himself to elucidate the dilemmas and inconsistencies of the human soul and psyche? … In the end all that any of us have to rely upon is our own imaginations and the certainty of our own minds. We paint the picture of the world which is most understandable, if not necessarily the most agreeable, to ourselves; and it is a rare thing if other people choose to share our particular vision, and relate to us quite so intimately. But this is a rare gift which Conrad and Miller seem to share.